Simon is a Business Anthropologist, with extensive experience in human-centred innovation, product development and design for major global companies across all industry sectors. He runs the innovation consulting division of GfK, a global business information and market research company. After an English degree at Cambridge he first worked in documentary film-making, through which he developed an interest in anthropology which he pursued via a PhD at the London School of Economics. 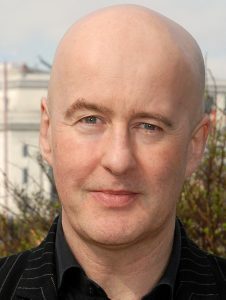 He then became a pioneering advocate of the value of anthropology within the business curriculum at London Business School, before moving to the US at the end of the 90’s to build the human-centred design capability at technology consultants, Sapient, and run their user experience design practice, which was responsible for creating the first internet presence for many global 100 companies.